When Natsuki Aizawa (Meisa Kuroki) was a child, she was kidnapped which left her traumatized. Natsuki grew up relying on her friend Kentaro Yuki (Yuta Hiraoka). She now studies physics at a university. 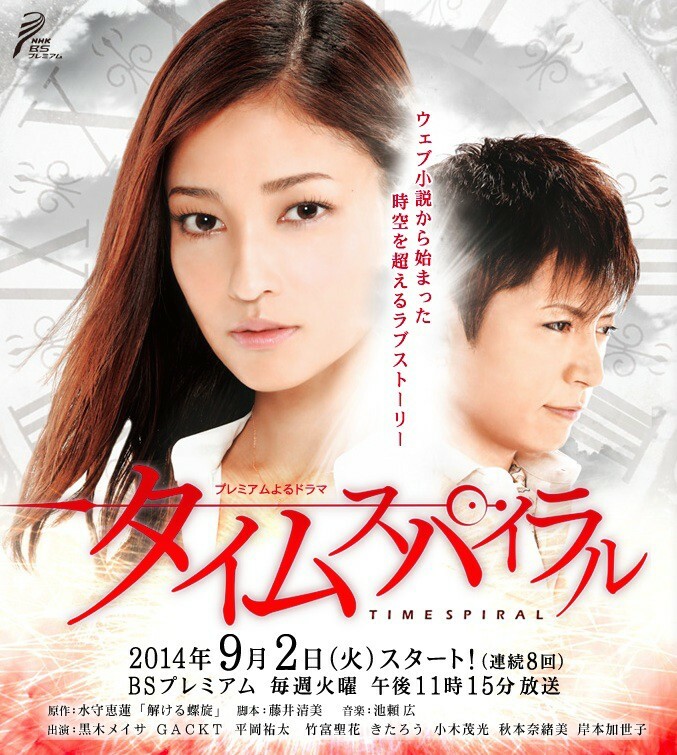 One day, she meets newly appointed professor Shuya Tatsumi (Gackt). Afterwards, mysterious events continually happen around Natsuki Aizawa. Shuya is time traveller who travels between the future and the past. Based on the web novel "Tokeru Rasen" by Eren Mizumori (published via berrys-cafe.jp). Faye Jan 22 2015 11:06 pm Finish watching it. It's a refreshment from an hour dorama, for me. Although Shuuya's reason to time travel and how Natsuki reacts after knowing the truth are the same as Steins;Gate (it's based on game). The formula were new and a good reason to stick with this drama. Even though it did not explain how Shuuya got the power... Overall, I think it's a good choice to watch as every episode is full of surprise. Hordy Dec 01 2014 2:52 pm Beautiful ending. LOVE IT!!! Gesti Nov 05 2014 11:18 pm Agree with kdramaaddict, this is one of the best travel time drama. I love this drama soooo much! Gackt is really cool, start love him from this drama. Very recomendation drama ! Kdrama addict Oct 13 2014 2:12 pm Omg this drama is the best. The romantic aspect is a little strange but super enjoyable as well as the cast. Could gackt possibly be any prettier?? NOOOOO! Anyhow. Best jdrama in a long time. Lovin' it !!! Acting is tolerable and storyline gets better and better as I continue to watch it. Can't wait until last two episodes air!!! !